Relax and have fun while our informative and knowledgeable tour guides create memorable experiences that will last a lifetime. We offer Kelowna and area wine tours, and wine tours of other regions throughout the Okanagan Valley, including the beautiful Westside Wine Trail, K-Town Country Tour-East side, Bottleneck Drive-Summerland, Naramata, Okanagan Falls, South Okanagan and Similkameen wine regions. We offer guided Okanagan wine tours, sightseeing tours, and adventure tours for individuals and groups, any day of the week, year round. We are one of the longest running wine tour companies in the Okanagan and have been honoured with numerous awards from TripAdvisor and business associations, not to mention the thousands of happy tour clients over the years! Savour tastings at four distinct venues in Kelowna’s historic downtown area. Taste a hand crafted premium cider made from 100% BC apples, sip award winning craft beer and sample top shelf Gins, Vodkas, Rums, & Whisky during this fabulous tasting tour. Join us on this fun & very tasty tour! 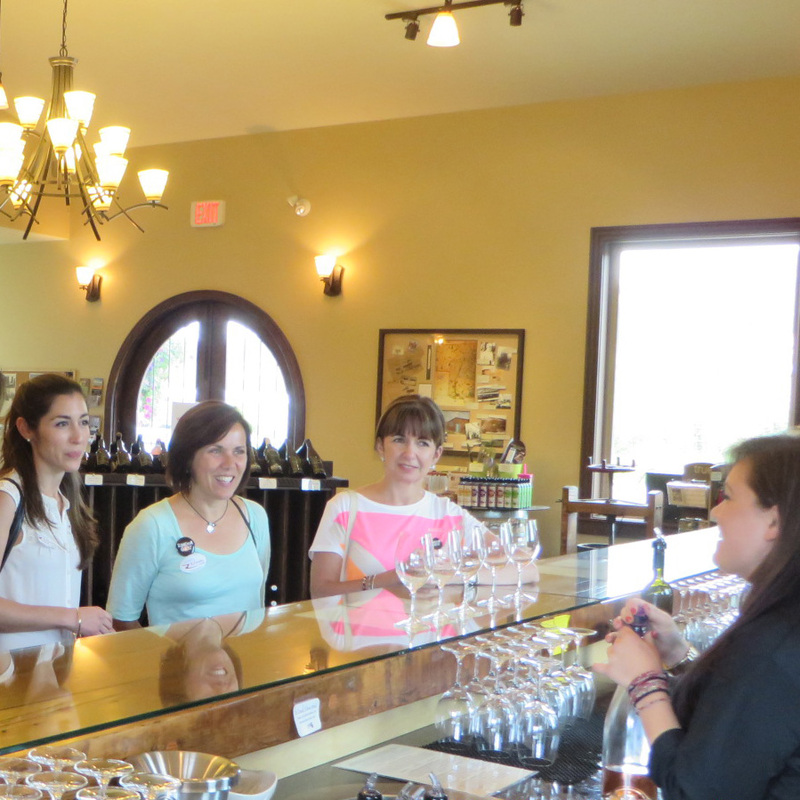 Our most popular Okanagan wine tours ~ an experience you won’t want to miss. Sample wines at unique wineries along the Westside Wine Trail includng Quails’ Gate Estate Winery, one of Canada’s leading wineries. The tour with a lunch stop lets you also experience Mission Hill Family Estate, a must see landmark winery with culinary offerings. These Kelowna wine tours will take you to visit unique wineries on the east side of Okanagan Lake, each distinctly different, and Carmelis Goat Cheese Artisan for the best goat cheese and gelato outside of Italy. 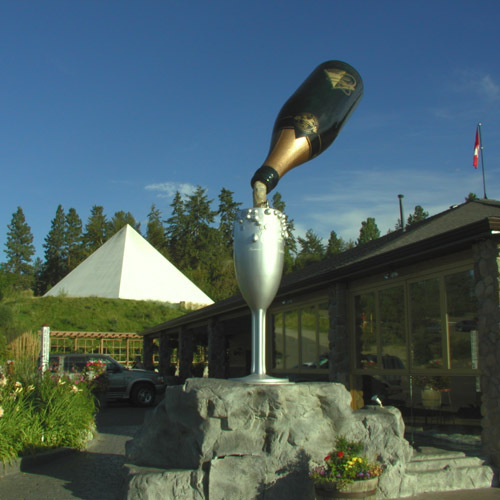 The tour with a lunch stop lets you experience the gorgeous Summerhill Pyramid Winery’s Sunset Bistro, overlooking the lake. The Okanagan wine country has many stops that are “must-see” destinations! We have designed our tours to show you the best of the best that our area has to offer including our Lake Country Scenic Sip Wine tour, our Bottleneck Wine tour, our Naramata Wine tour, our South Okanagan Wine tour and our Taste of Kelowna beer, cider & spirits tour! 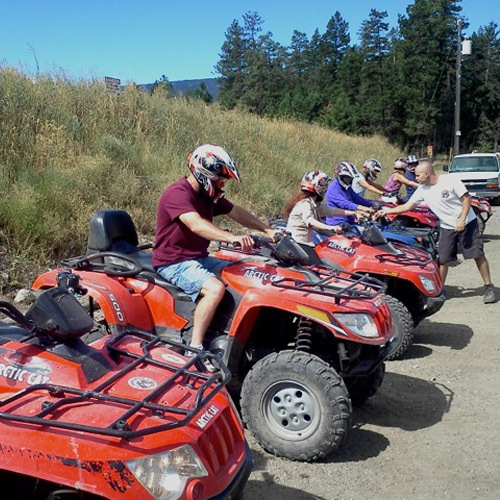 Explore the amazing Okanagan back country on the seat of an ATV, enjoy a delicious lunch at a winery restaurant and sip a selection of Okanagan wines at spectacular wineries. 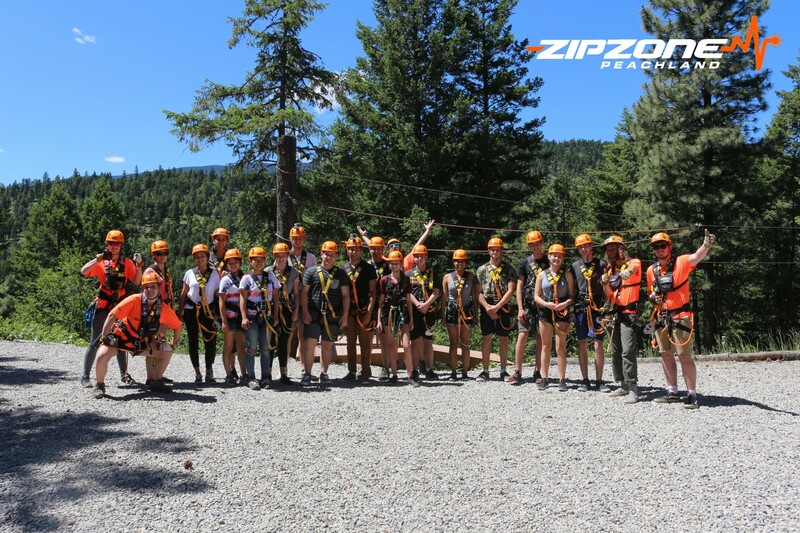 Experience the thrill of six breathtakingly high, cross canyon ziplines. Then relax while enjoying a picnic lunch. End your day tasting some of the best wines the Okanagan has to offer. 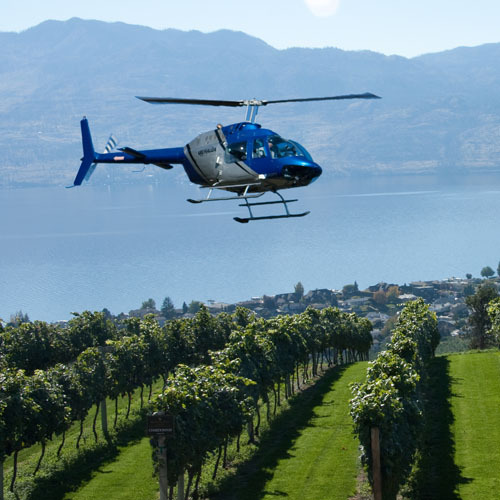 We seasonally also offer a boat tour as well as a helicopter tour… all of them of course paired with tastings at fabulous Okanagan wineries and/or breweries! From the moment you contact us until your event is complete – we take care of you. Plan a corporate tour, wedding tour or private tour for your groups. For transfers to airport, hotels, golf courses, restaurants, special events and weddings, you will be transported in the appropriate sized vehicle for your group. 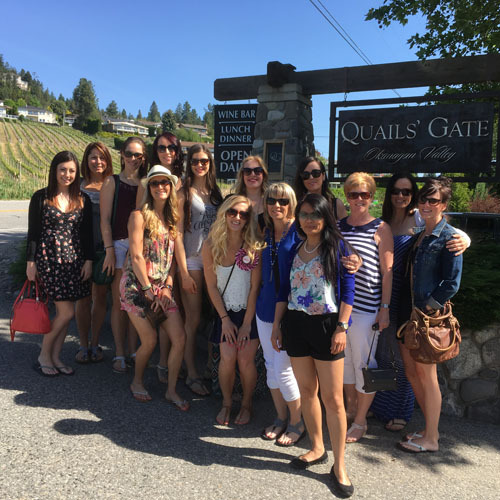 Enjoy sightseeing, a winery tour and a fabulous stay in the Okanagan Valley with our hotel & winery tour packages in partnership with hotels in Kelowna and West Kelowna. 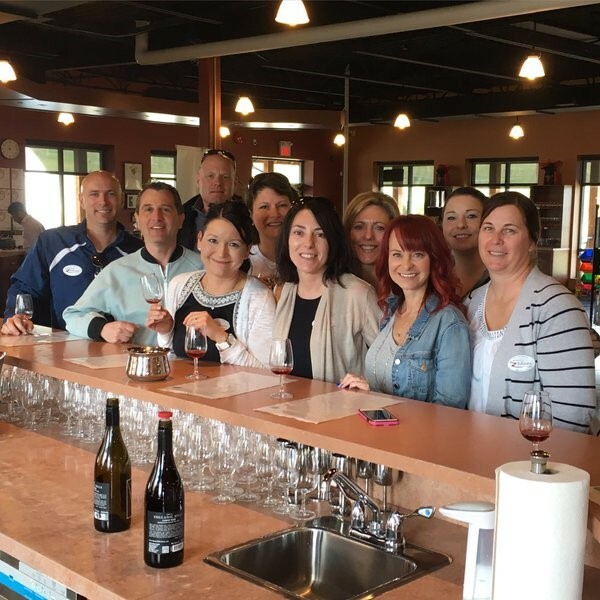 Our wine tours are guided by our professional and knowledgeable tour guides (they’re not only great drivers, but also enjoy sharing their extensive knowledge about our beautiful wine region… we love surprising even our local guests with things they have never heard about their city!). We are proud to have earned a Hall of Fame Certificate of Excellence from Trip Advisor in 2018 and we strive to provide you with a memorable wine tour experience. At Distinctly Kelowna Tours we specialize in designing custom tours for private and corporate groups. Let your imagination take you wherever you would like to go. 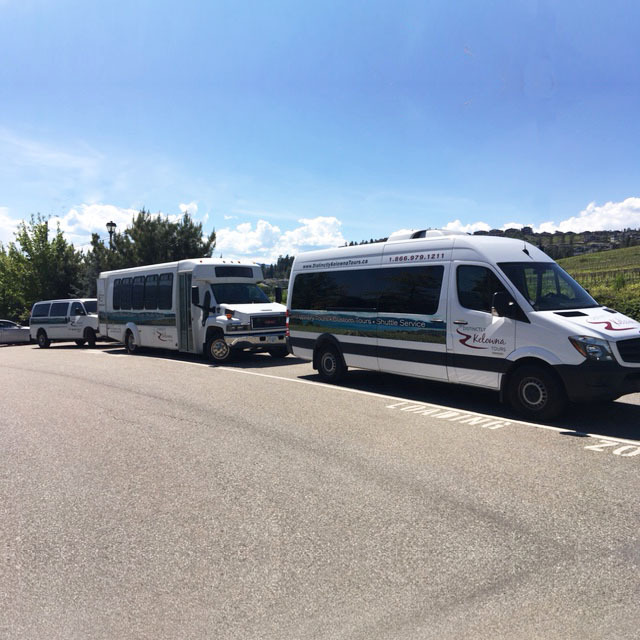 We are proud to say that Distinctly Kelowna Tours is one of the longest running tour companies in Kelowna and the Okanagan Valley. We are highly recommended by local tourism agencies, hotels, wineries, restaurants and golf courses.